Have you Schnibbled? If you’ve visited Sherri you know what I’m talking about. I’ve seen the adorable Schibbles patterns for a while, but I’ve never made one. This one is for the store where I “work”. For the one I made, I basically used whatever American Jane stuff was still on hand at the shop, plus a few other retro looking prints.
. Includes LOTS of great patterns. Speaking of American Jane, did you hear that she has a new collection coming out in August? Exciting news! I’m not even sure how many American Jane quilts I’ve made. Or how many more I could make with the stash I have. I haven&#39;t done a schibble yet, but I have a couple that are on &#39;the list&#39;. Yours looks wonderful, great &#39;work&#39; – the few others that I&#39;ve loved have also been done in American Jane. The colors are so happy.<br /><br />I saw Punctuation last week on FQ and just smiled! Love that book and LOVE your quilt! Just received the book and can&#39;t wait to start Schnibbling! The X-Rated quilt you made is first on my list as well and after seeing yours, I just might have to track down some of that American Jane! Very cute! this quilt is great…i love the colors in the AJ lines. this new collection is on my radar….i can not wait to get my hands on it!! it looks fantastic!!! i have so many schnibbles patterns.. but i&#39;ve only ever made one! Ok I haven&#39;t seen that fabric line….but now I musst get my hands on it! I see quite a few prints in there that I will need. I&#39;m in the middle of this same pattern! I love the bright colors from the American Jane collection. You&#39;re right, the book is chock full of fun patterns. Ever since I bought mine, I&#39;ve been toting it around from one room to another to peruse while I eat breakfast, watch TV, go to bed, etc. I have a collection of Schnibbles patterns. Haven&#39;t made one yet. 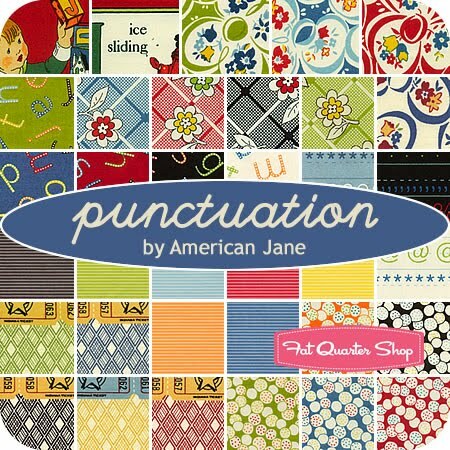 LOVE American Jane fabrics, and have quite a bit in my stash. And I have the new book. What am I waiting for?? 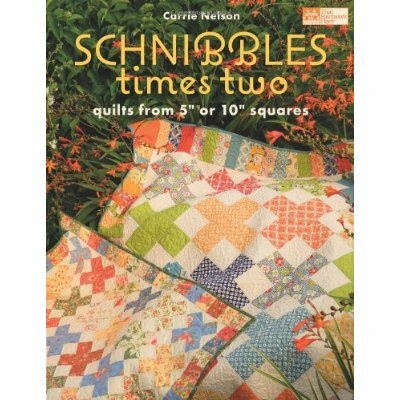 Your snibbles quilt is darling!! And I CANNOT WAIT to get my hands on that Punctuation line! Anything AMerican Jane is perfect! Great quilt! Love those happy colors – so yay for new American Jane! Oh my gosh I love that new line from American Jane. <br /><br />The quilt you made is adorable. What I would do to work for a quilting shop that paid me to quilt. What an awesome job. It&#39;s lovely Amy! I did happen to see that there is a new line of American Jane coming out… I will need to enhance my stash with some I think. I missed the first few lines and I would desperately love some Wee Play but by george it seems everyone is holding onto that one for dear life :)<br /><br />Hope you&#39;ve had a happy week! I have not schnibbled yet. Believe it or not! I need to. That new AMerican Jane line is calling my name. Do you hear it? I do! Believe it or not, but Sherri was at my house today. (We live an hour apart). She is QUEEN of Schnibbles. I have only made one as a baby quilt for a gift, and look forward to more in my future. Love anything American Jane. Love it!! I just got that book too, and can&#39;t wait to make all the fabulous quilts in it! The colours are so happy. Great quilt. So excited about punctuation! IT just looks so pretty!<br /><br />Love your Quilt! I wish I had all of that talent! <br /><br />Do you quilt your quilts yourself or take them somewhere? Great quilt…this is one I&#39;ve been wanting to make! I know it&#39;s one of Carrie&#39;s favorites too! You&#39;ve been Schnibbled Amy! Love the Punctuation too! ooooOOOOOOOooo! I love it, so cute. This is def going on my to-do list. Love it. The book is super fantastic! I want to make a big one too. Such a bright and cheerful quilt, and delightfully scrappy. That is one beautiful quilt! I&#39;ll have to check out schnibbles if they are that nice!! Good work! Very cute Schnibble! I just adore American Jane too! Love the upcoming fabric line!